A renowned power company in Missouri and Southern Illinois contacted us with a need for several structures that could cover environmental remediation projects. All the structures needed to be installed, moved, dismantled and cleaned on a regular basis during the remediation process. So what did we do? Mahaffey met the customer’s needs by providing them, over the course of several years, with more than five structures. Each structure came equipped with various amenities including, garage doors for dump trucks, personnel doors, lighting and exhaust louvers. 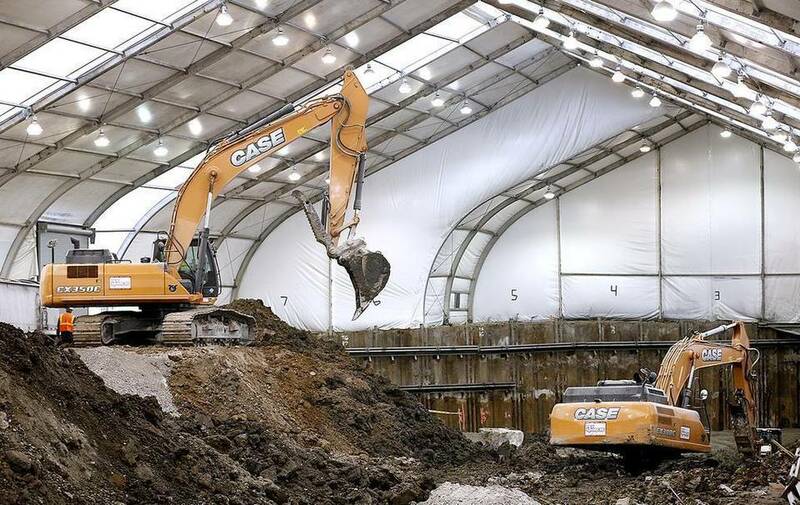 The purpose of this project was to create a structure that could provide an air tight environment and could filter the air while contaminants were being dug up and replaced with clean back-fill dirt. The company wanted to be "green" and to display their dedication for a cleaner environment. Where the company supplies power used to house old gas plants that were without proper environmental regulations. Due to the lack of regulation, chemicals were released into the ground with a majority of the contaminant being coal tar. Sites included in this process were Centralia, Illinois, Shelbyville, Illinois, Clinton, Illinois, Champaign, Illinois and Quincy, Illinois. What was so challenging about this project was that all of the sites were union sites. 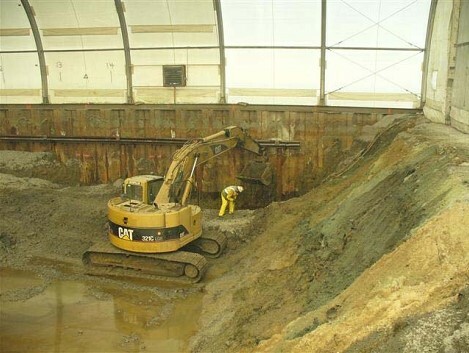 Flexibility was key in completing tasks to accomodate workers performing the remediation. 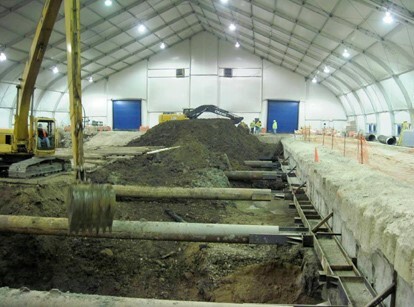 All sites had excavation work that dug up to 25 foot holes into the ground inside the structure. Because of the holes, the company had to install sheet pile walls for support. Most of the structures had to actually be moved several times in order to dig at new locations within the site. This included dismantling and reinstalling. This process also had to be done quickly because of the employees who were waiting to return to digging. All sites have been a huge success and the areas were cleaned and are ready for the community to use. This company not only was able to clean up the environment, but they were also able to show that they care — a win-win for both parties. Want to see all of our structures solutions, learn more about our services, or talk to Mahaffey's environmental expert today? If so, click the button below.